With half the building down and the summer travel season ready to begin, Missoula International Airport is looking to Salt Lake City for ways to handle passengers with a limited number of gates. 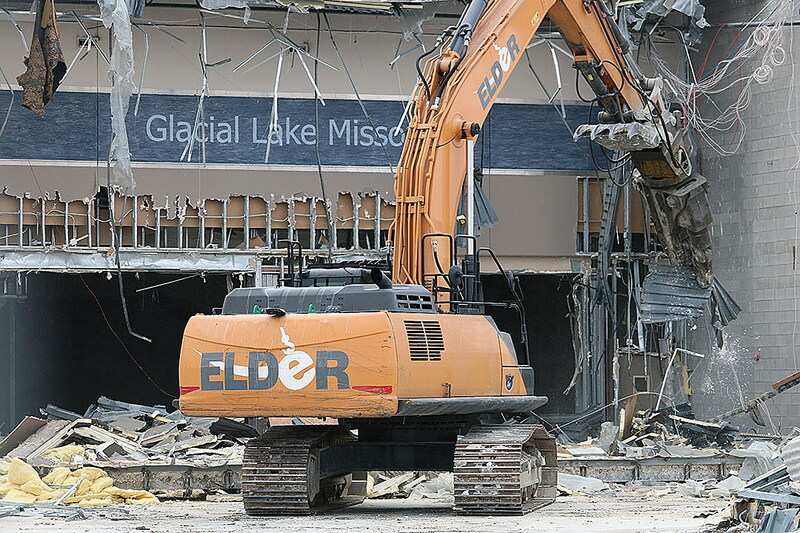 Construction crews have razed the west wing of the airport to make way for construction of a new passenger terminal. That work will take years to complete, leaving airport officials searching for other boarding options. Frontier returned to Missoula with its summer service to Denver last week, and Allegiant will begin service to Oakland in May, just as United begins service to Chicago. In June, service to Los Angeles, Chicago, San Francisco and Atlanta will also begin on four separate carriers. Conditions are already tight at the airport and as the summer season kicks off, handling more passengers and more aircraft could be a challenge. But officials believe they have found a solution with the new boarding arrangements. As construction on the terminal continues, the airport continues to grow its passenger count at a record-setting pace. Enplanements were up more than 18 percent in January and 19 percent in February over the prior year. March is also looking strong. “We’re preparing for a busy summer and trying to plan for the increased activity with the added complexity of the construction project,” Jensen said.